Looking for even more romance? Our Amelia invitation is here to woo you! 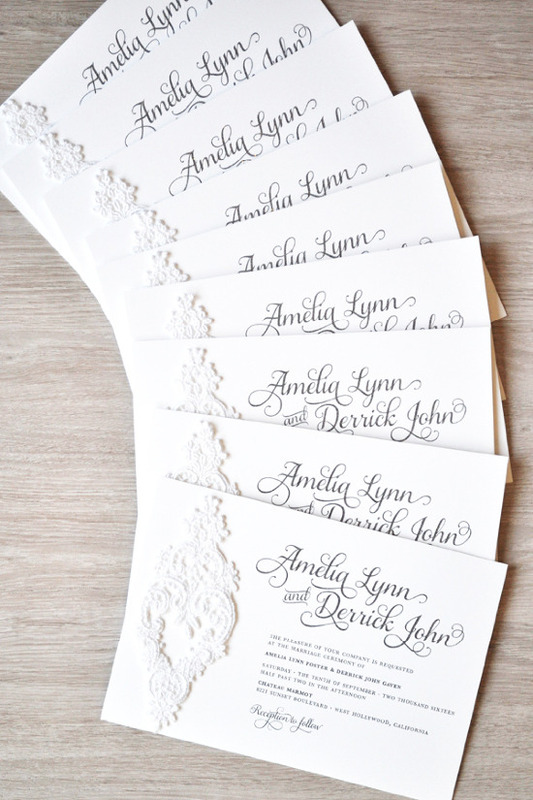 Featuring a delicate lace appliqué and flirty font, this standout wedding invitation is a totally couture way to invite guests to your big day. Glitter thermography is a unique raised ink printing method that gives Amelia a subtle touch of sparkle and glam. We can print this unique feature in any color you can think of, including our super popular Rose Gold ink! Raise the bar...and the sparkle, for your big day with a custom invitation by Engaging Papers.